Readers feedback is of immense worth to the bloggers in all niches. What your readers think of your blog is the ultimate tool that one can utilize to improve the blog and bring it to the next level that is in line with the interests of the readers. I previously posted a Add Custom Floating/Fixed LightBox Style Feedback Buttons To Blogger that was responded pretty well. 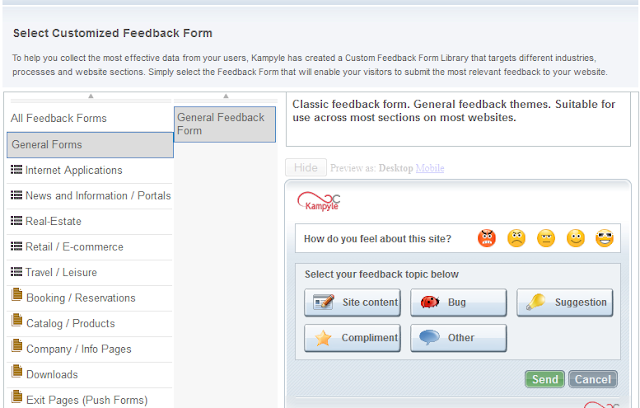 Today, Kampyle Feedback Management Application (Feedback button) would help you out retrieving your readers view points to a whole new level. 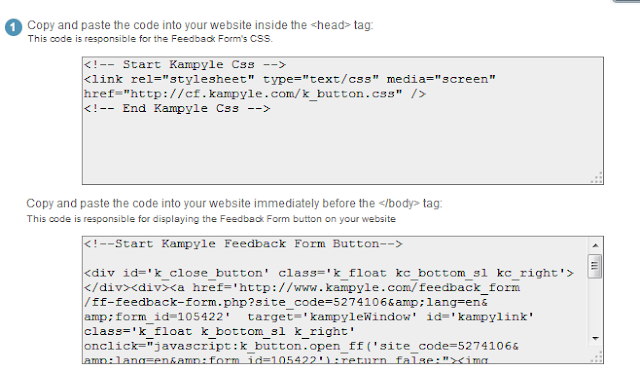 How to Add Kampyle to Blogger? Go to Kamyple.com and create an account. 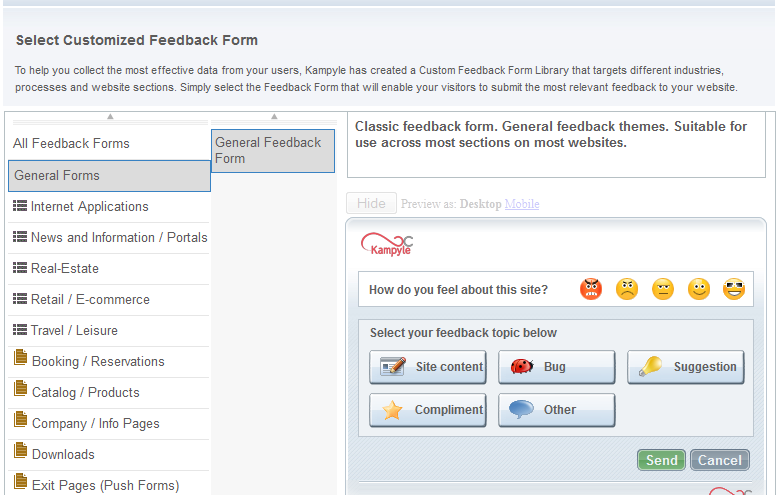 Next navigate to 'Feed back' >> Feedback form customization >> Add Feed back form instance. It would then direct you towards different forms of feedback forms that are available to use. E.g General feedback forms, Internet applications, Real estates etc. Different types of blogs/websites may use different types of feedback forms. Each form category has its own feedback options/buttons available for the reader to choose from. There are tons of other customizations that you can do such as adding your own blog logo to the feedback button, adding more buttons/categories etc. Now simply hit 'save and get embed url' to get the feedback button code. Now simply copy/paste the first code (in the first box) just above the </head> tag. 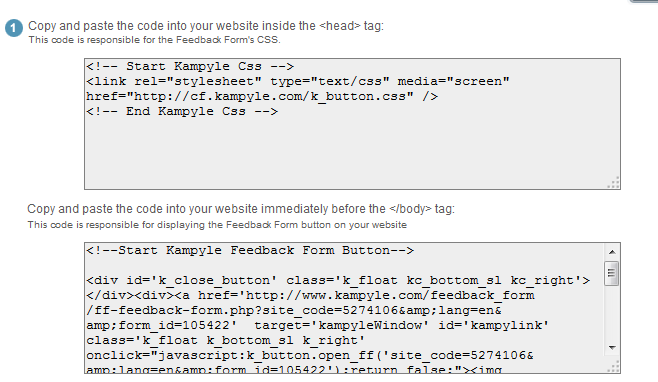 Once thats done, now find </body> and paste the second box code above the </body> tag of your blog's template. Thats all!. Your would see the newly added Feedback button live on your blog. May peace be on all of you. Take care.